For UK travellers to Europe, it’s fair to say that the last ten years has been the decade of the low cost airline. Flights have opened up right across the continent, and previously unvisited cities have become more accessible than ever before. But, of all of the examples of ‘low cost causing tourist boom’, Kraków is perhaps the starkest. In 2004, there were very few flights connecting Poland, let alone Kraków, to other major European hubs, and the UK was mainly accessible only from Warsaw, and by BA, or expensive connecting routes. Just 9 years later, there are now more low cost flight connections to Kraków, and Poland as a whole, from the UK than to any other country in Europe! Naturally the best option for Kraków flights are to go direct from the UK, into the John Paul II International that sits – perhaps unusually for an airport – fairly close to the city centre. In many ways the airport is deceptive in its efficiency; with just one terminal building serving both arrivals and departures, it’s difficult to see how so many flights could possibly be serviced here. But they are, and today you can fly low cost, direct to Kraków, from Birmingham, Leeds, Edinburgh, the East Midlands, Liverpool, London (Stansted), and Manchester, with Ryan Air alone, while other low cost routes from Bristol, Belfast, London and Edinburgh are run by Easyjet. Unfortunately Kraków airport is not quite big enough to service significant continental arrivals, so there are no direct flights from the US. 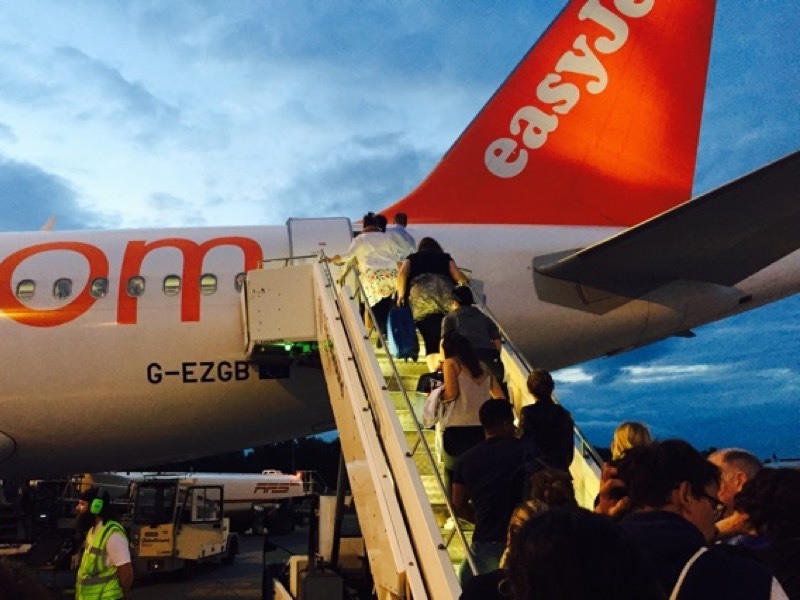 However, with the ease of access made possible by the proliferation of low cost routes from London and other major international air hubs in the UK, getting a connection should never be a problem. The other option for US arrivals is flying with Polish Airlines (LOT) directly to Warsaw. Currently, only one route is in frequent operation, which goes direct to and from Chicago International Airport. After arrival, it’s a 5-hour or so bus to Kraków, and these can be taken directly from the airport. LOT also service much of Europe and, while not a low cost airline, they are still a viable option for visitors coming from the UK, particularly from London. In general Kraków is one of the most accessible cities in Poland. It’s fair to say, that with the ease of access from nearby towns like Katowice, and even Warsaw (which has two international airports), it’s rarely a difficult task to find a way in or out of the city. Kraków Climate – when is best to go to Kraków?